CRISPR-Cas9 gene editing complex, molecular structure. 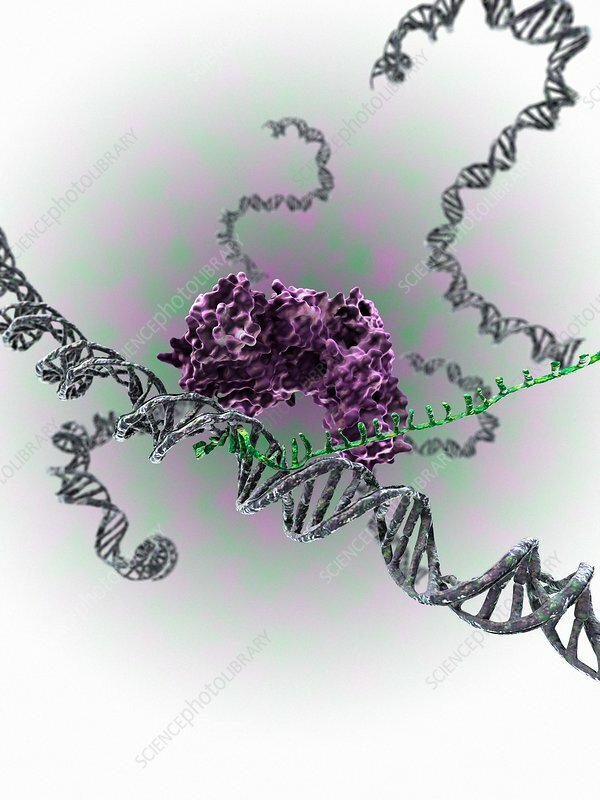 The CRISPR-Cas9 protein is a nuclease used in genome engineering to cut DNA (deoxyribonucleic acid). It uses a guide RNA (ribonucleic acid) sequence to cut DNA at a complementary site. The Cas9 protein is shown in purple. The guide RNA is green, and the double-strand of the DNA is grey.